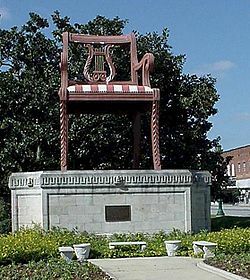 The Big Chair in downtown Thomasville, NC. You just don’t see this kind of thing on the interstate. Like most folks, when I was growing up, my family took one big vacation in the summer and several smaller trips in the spring and fall. And, like most of you, our summer trips often involved the beach and the others the mountains in some form or fashion. I’m old enough that much of this occurred in the days before Interstate highways crisscrossed the nation and we traveled the smaller highways like 220, 64 and others. While the interstate is great for getting you to your destination quickly and with the least amount of fuss, it’s nowhere near as interesting as those other roads. When you’re on one those small, state highways, you never know what’s around the next bend. 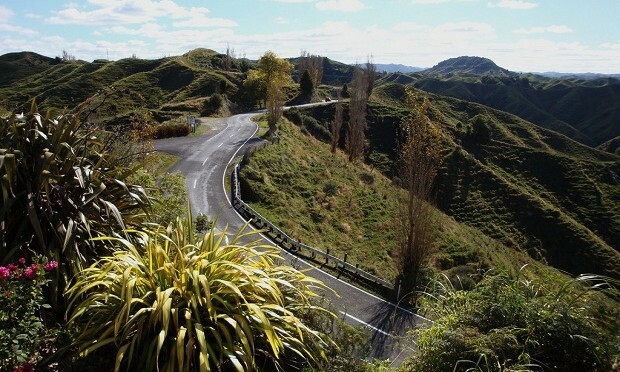 At any given time, you might round a curve and find a waterfall or a breath-taking scenic view. Other times, the surprises are more man-made; like the “See Rock City” signs painted on pretty much anything that doesn’t move in the Chattanooga/Lookout Mountain area. One of my all-time favorite off-the-beaten-path drives is U. S. 301/501 along the NC/SC border. Now, 301/501 is not my favorite because of the scenery or that it’s a nice drive or where it takes you. No, it’s tops on my list because it passes right thru the middle of one of the most wonderful places known to humankind: South of the Border. 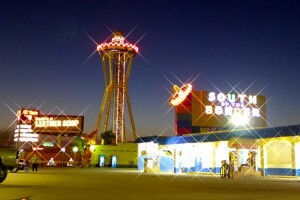 SOB is, quite possibly, the tackiest, kitchiest, most gimmick-laden tourist trap I’ve ever seen. 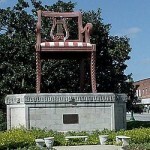 And, just driving past brings me a joy I’m not sure I can adequately describe. How could you not want to stop? Year after year, my brother and I begged our parents to pull over and let us explore this wonderland in detail, but the response was always the same: a gruff “No, that place is nothing but junk” from my father. Once, however, once he relented (as a parent myself, I now realize it was a thinly veiled attempt at shutting us up) and we found out he was right, it was nothing but junk. But, in a way that only an 8 year-old can fathom, it was glorious junk. Alas, that was the last year we went that way. Later trips, we went through Rockingham, a route which completely missed my beloved SOB. Nowadays, most people blow past all that tacky wonderfulness at 70 mph on I-95 and I can’t help but think they’re missing something. All too often in life, we’re more concerned with getting where we’re going than how we’re getting there. When that happens, we miss out on much of the richness life has to offer. 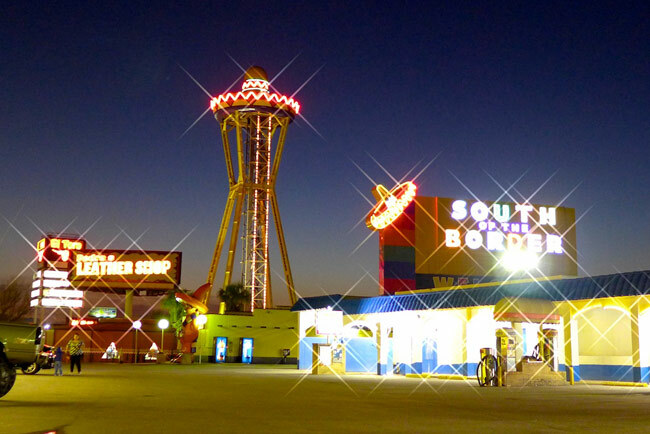 Right now, you’re probably thinking that “richness” is an odd way to describe South of Border. If was just talking about the place, you’d be right. But, I’m not. I’m talking about a cherished childhood memory and the sheer unexpected delight of stumbling over such a weird place in the middle of nowhere. Going through life consumed with reaching your destination, be it a physical place, a life goal or even heaven, is like taking the interstate to the beach: it’ll get you there, but you’re going to miss a lot of good stuff on the way.